Oh my Sherrie!! 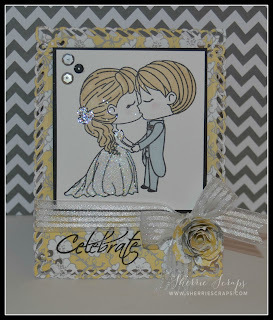 Both of your Wedding cards are beautiful I love the soft colors you used and that ribbon is gorgeous! You colored the Bride & Groom perfectly! Thanks for playing along with us at the Scrapy Land Challenge #19! These are so sweet and pretty ! Everything is perfect together ! These cards are so beautiful! 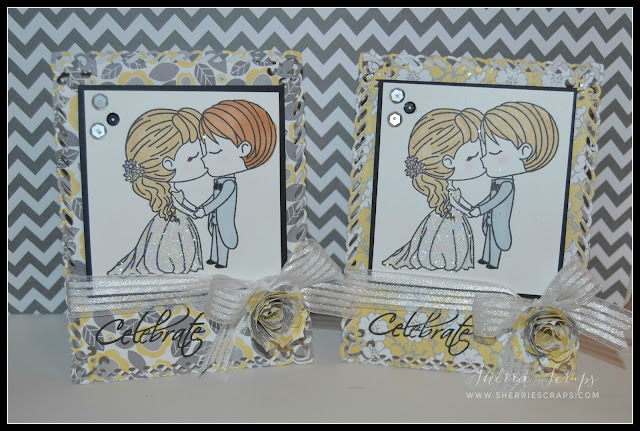 I love the little bride and groom image... so stinkin cute!!! And the paper colors and patterns are perfect! Your cards are so adorable Sherrie, love through cute image and sweet sentiment. Thank you for join the DL. 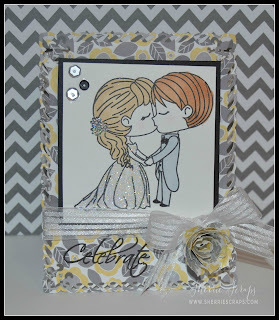 ART JUNE LINKY CHALLENGE. HAVE A BLESSED DAY DIANA L.
These are so super ADORABLE Sherrie!!!! 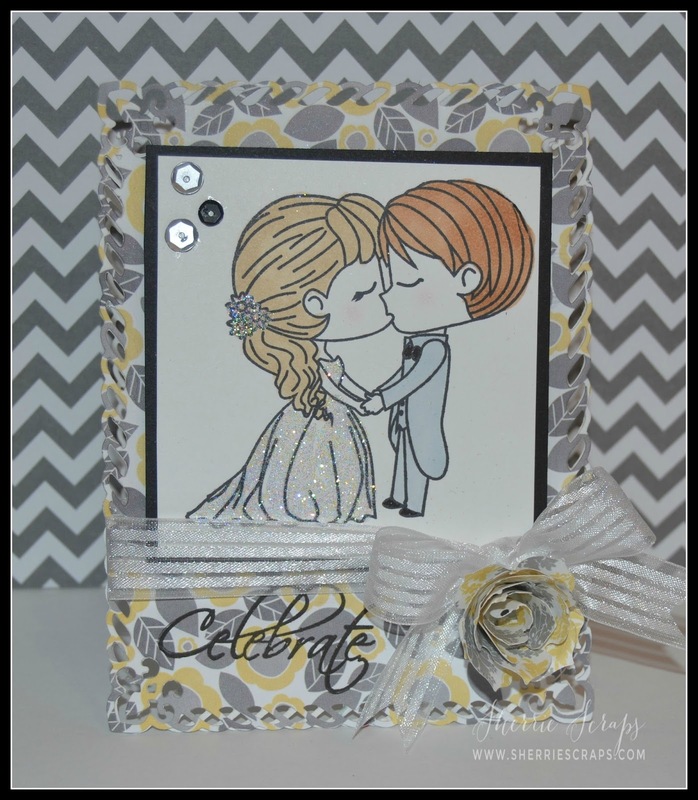 LOVE that CUTIE image and great paper choices!!! These are GORGEOUS! LOVING the colors and the adorable image you used!!!!! These are just precious!! Love the sweet colors, image and how fun that you can change them up to match the hair of the recipients if you want to. So talented! Hope you have a great weekend, Sherrie! Love your beautiful card. The image is darling, love the paper and rolled flower! 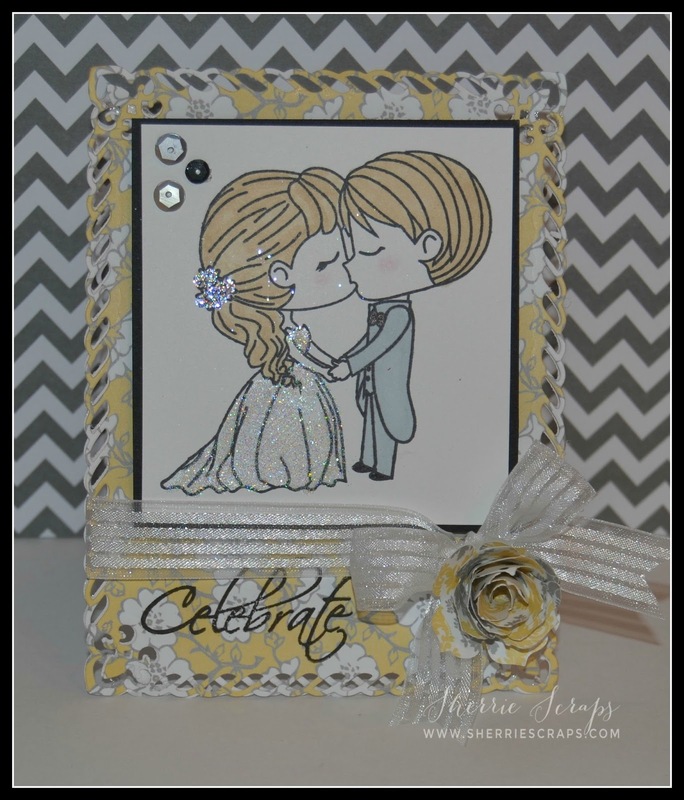 Beautiful cards, those images are adorable and I just love your coloring! Very pretty rolled flowers too and the color combination is fabulous! Beautiful card, love the paper and the cute images. This is so pretty and beautiful. 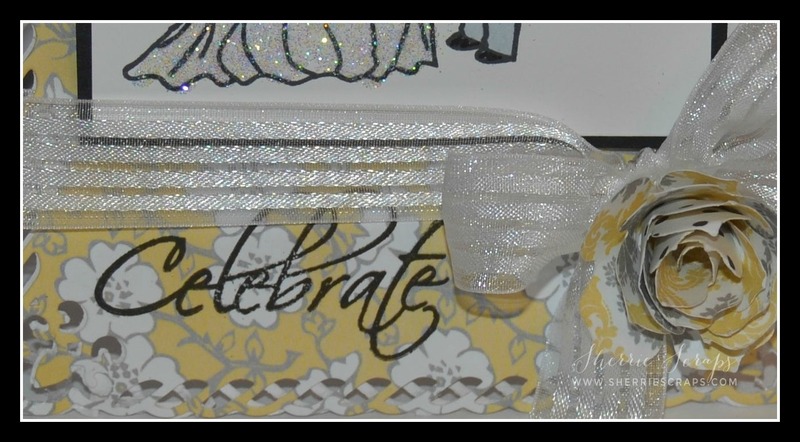 I love the silver, yellow, grey combo, perfect for a wedding. The ribbon is so prettty as well. awwww this is so CUTE! My favorite color combo for weddings! 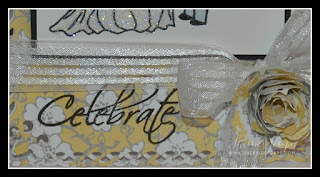 Great sparkle and ribbon! The image is just PRECIOUS!! Awesome coloring!! Gorgeous color palette! You know I ADORE the pretty flower and bow!